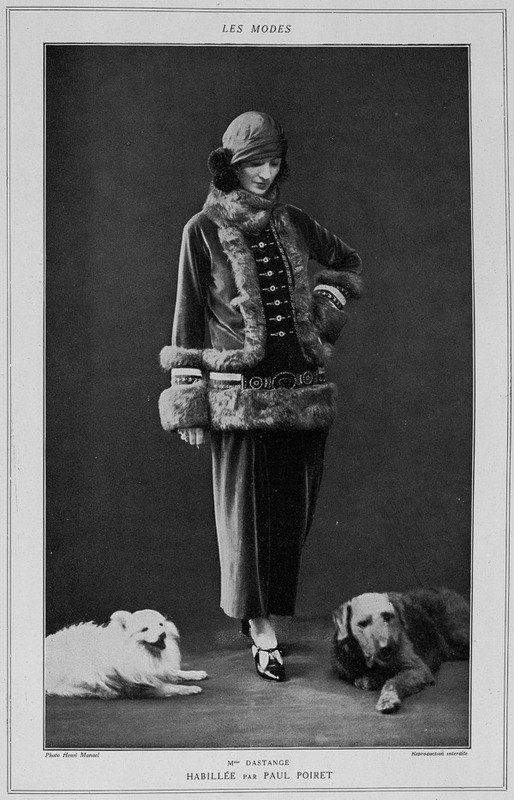 The French magazine Les Modes presents Mme Dastange wearing an outfit designed by Paul Poiret. 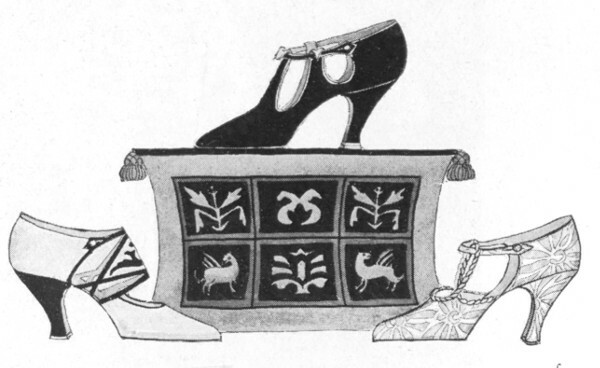 It is the model “Gris-Gris », a dress in "gray velvet, with embroidered ribbon in old pink, dark blue and silver colors, trimmed with gray hare". They forgot to mention THE shoe designer. Silly of them. 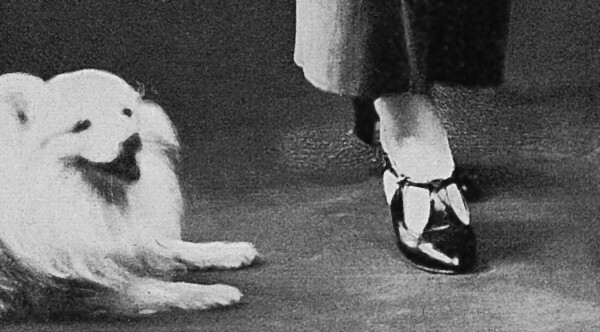 Top center shoe: "Tips lined with golden leather and curved at their extremity give personality to a glossy brown shoe kid"